The Arab and Islamic nation received the news of the death of His Highness Sheikh / Rashid bin Mohammed bin Rashid Al Maktoum with great sorrow, May Allah have mercy upon him and make his abode in His spacious gardens. The deceased was one of the finest youth, pious and close to his people. 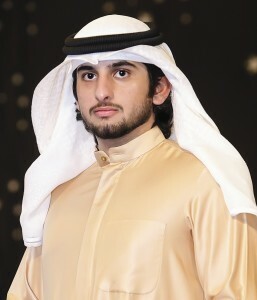 Rashid bin Mohammed bin Rashid bin Saeed bin Maktoum bin Hasher bin Maktoum Bin Butti Bin Suhail Al Maktoum was born on November 12, 1981, in Dubai where he received his school education. He then attended “Sandhurst Military Academy” in the United Kingdom and graduated in 2002. Rashid is the eldest son and the fifth child of the vice president, Prime Minister of the UAE and the Ruler of Dubai Sheikh Mohammed bin Rashid Al Maktoum. He abandoned the political life, as he was known of his deep passion for equestrian sports in which he achieved great records. He came first for 25 times in International Horse Racing. Because of his deep passion of sports, especially “horse riding”, he was appointed in 2008 as the president of the UAE Olympic Committee. Up till now, his own horses participated in 159 races in which he came first for 25 times, second for 32 times and third for 13 times. On July 22,1998: he came second in Wicklow Hills Race- Ireland. On August 22, 1998: he was the champion of the Championship of Lutzenberg ride over 130 km in Switzerland. On August 14, 1999: he won the gold medal being part of the Emirati team who won the European Junior open Championship in Germany. On May27, 2000: he was the champion of the Italian 160km Endurance Championship. On July 26, 2000: he won the 200km Al Maktoum Endurance Cup in Ireland. On October 29, 2000: he won the 102 km Bazilio Endurance Championship in Spain. On September 29, 2001: he won individual gold medal during his participation with UAE riders in the Europe Open Endurance Championship in Perugia- Italy. On May 12, 2002: he won the 200 km HH President of UAE Endurance Cup in Australia. On May 19, 2002: he won the 122km Emirates Endurance Cup “Masters” in Ireland. He also won the l00km Endurance Cup in Ireland. On August 17, 2002: he won the 120 km Endurance Championship “Masters” in Spain. On August 31, 2002: he won the 120 km Costa Smeralda Championship “Masters” in Italy. At the beginning of Summer 2003:on the European level, he won the 160km Tour de France Endurance championship which was held in La Baule- France. Season 1998-1999: he topped all riders in UAE World Endurance Championship. Season 1998- 1999: After he had topped the endurance world rankings, he became officially the world champion. On December 14, 2006: he won Individual gold medal in Doha Asian Games so he was called “Asian’s champion” or “Asian’s master”, besides winning a Team gold medal in Doha Asian Games. On Saturday morning, Sheikh Rashid bin Mohammed bin Rashid Al Maktoum died of a heart attack at the age of 34.